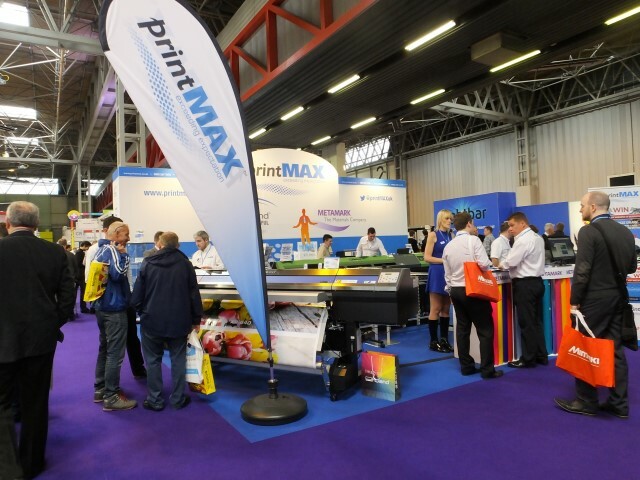 printMAX at a showThis is the eight consecutive year that printMAX will be participating at Sign and Digital UK with a bigger stand from April 19th-21st. printMAX are a Roland and Mimaki authorised dealer and this will be their biggest year to date. They can be found just inside the entrance on stand K10. This year printMAX will be bringing the best large format print solutions to the table. These include best-selling roll-to-roll printers, brand new products from Roland and the increasingly popular LED-UV flatbed printers, capable of printing onto almost anything. There will be the entry level print and cut device from the Mimaki range, CJV150 along with the production model, CJV300. From the print only selection, printMAX will be demonstrating the impressive JV300. You’ll also be able to see the Mimaki UJF-3042HG LED-UV flatbed printer, an exciting bit of kit aimed at promotional printing. printMAX will also be showing a wide variety of Roland printers, including the brand new direct to object printer, the VersaUV LEF-300, bigger and faster than previous models. There will also be the hugely popular Versacamm VS-i series and XR-640 as well as entry level models and a brand new roll-to-roll printer. printMAX will be there to offer one-on-one product demonstrations, print and application knowledge along with one of their customers who will be available to offer practical advice from an unbiased perspective. Visit printMAX this Sign and Digital UK at stand K10 or www.printmax.co.uk for more information.